Jaipur, Nov 1 (PTI) Former Indian Hockey captain Sandeep Singh is the latest celebrity whose statue has been installed at the Jaipur Wax Museum. Singh, along with his family members, unveiled the statue Thursday at the museum in Nahargarh fort here, said Anoop Srivastava, founder and director of the museum. "His life is an inspiration for many Indians. Bollywood has also depicted his life on reel. His statue would be an added attraction at the museum," Srivastava said. Singh was left almost paralysed after he was accidentally shot by a Railway Protection Force (RPF) jawan inside the Delhi-Kalka Shatabdi Express in 2006. The bullet not only fractured his lowest rib, but it also damaged his spine, kidneys and liver. 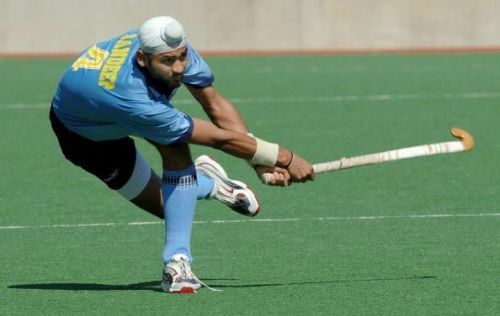 But Singh made a sensational comeback to the national team after a gap of almost two years before being handed the captaincy in 2009.